Robert Anavian, DPM is accepting new patients. 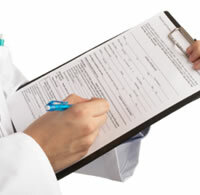 Print and fill out our Online New Patient Registration Form to save time at check in. List of all current medications, or bring them with you. If you have had orthotics or braces made in the past, please bring them in even if you do not wear or do not like them. This will help doctor find out what has worked or not worked for you. When to Arrive: Please arrive 15 minutes before your scheduled appointment time to complete any forms. We strive to stay on schedule and understand your time is extremely valuable. New patients may require as much as 60 minutes for their initial evaluation depending on their condition.